How to Make a Killer Bloody Mary Bar﻿ – Abbey Co. There is a local bar in Seattle called “Sam’s Tavern“, whose claim to fame are massive bloody Mary’s served with breakfast sandwiches and sliders on top. For a big Seahawks game this year my girlfriend and I desperately wanted to get out and enjoy a bloody there, but quite tragically found out they are not family friendly (not throwing shade guys, I get it). 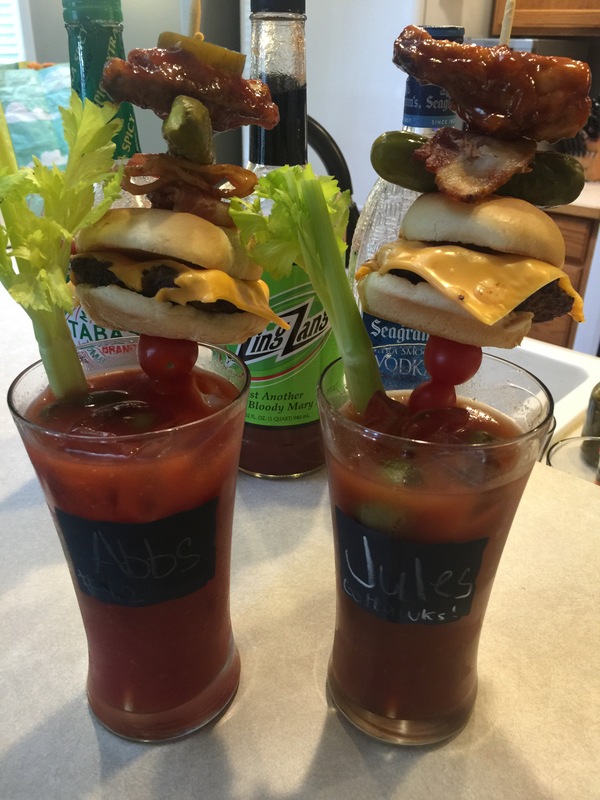 Since we couldn’t enjoy one there, we decided to create some of our own over the top bloodies at home! We did a full on Bloody Mary bar, which included a variety of hot sauces, pickled veggies, and meats to garnish with. 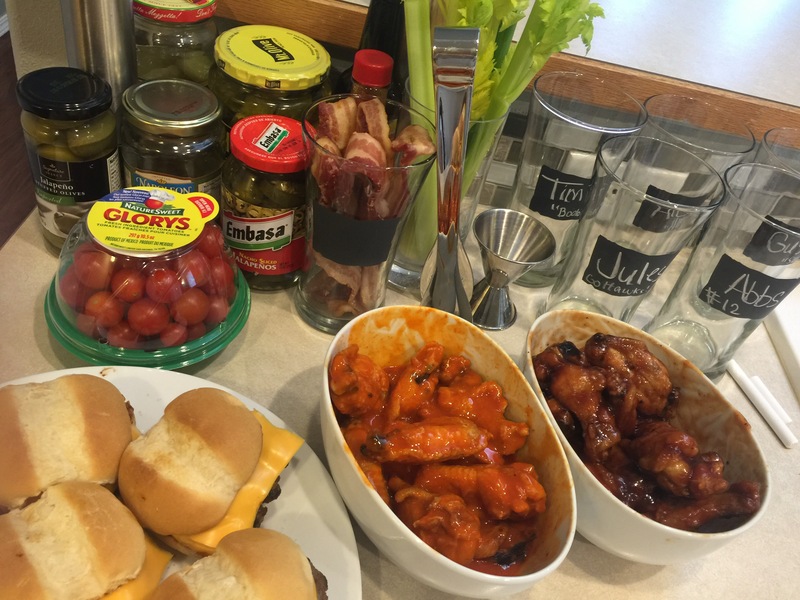 To top it off, we made chicken wings and sliders to skewer on, and they were amazing!!! The trick to making a really good Bloody Mary bar is lots of variety. You want different types of bloody mix, different things that serve as stirring sticks (bacon strips, celery stalks), and different things to garnish. Our custom spicy Bloody Mary’s! Topped with cherry tomatoes, bacon, sliders, chicken wings, pickles and jalapeños! They were so much fun.